I am resting today, my hand has been forced! My insides are sore. I am feeling old! I absolutely love that Goldfinch is ten years older than me. Have I told you that before? I can’t remember. But it is perfect. Because when you are in your mid-thirties, you start to wonder if you are losing your charms. Well, I don’t want to make statements on behalf of the entire thirty-something female population. Maybe other women don’t, but I certainly have worried at times. I have dreaded that advancing years would shed the glamour and vivacity of youth. In addition, the injuries I received the night I was attacked, I feel took away a lot of whatever sparkle I had before. But Goldfinch being ten years older than me…well, it makes me feel young and girly. I like that. In the past, I was in situations where I felt more like the mum in a relationship. I did not like that. It’s much more fun the other way round. Some men only seem to improve with age. Some women too I guess. Both of my parents look amazing. I mean no offence to George Clooney, who is a very fine specimen of a man, but I actually think my Dadda at the age of seventy, is more good-looking. Dad is super fit and permanently tanned from his decades of working as a window-cleaner (well at least his face and arms are tanned). I am hoping I can trust their genes will be kind to me. My only worry in the meantime, is the damage that my brain playing up is doing to other parts of me. My outside looks alright, but my insides are sore and distressed! I saw that the word for the day was MOONSTRUCK. I could not help but think of Cher and Nicholas Cage. Next year some time…I hope that someone who makes me feel young and girly and enchanting will let me get all dressed up, and take me to the opera. If there is nobody who will do that…maybe one day I make it to Australia, and ask my Goldfinch to take me to the Sydney Opera House instead. Our parents are our ideals. So no one is better looking or kinder then them. Get well soon. You are always as old as you feel or as young as you feel! I will be 50 this coming year. Talk about old! Part of me feels like I only left school last week. But the inside of my chest is so sore after Sunday night and I am so nauseous today. I am feeling sorry for myself today I have to admit! We are allowed to, every once and a while. You are still young. I am 39 and I feel old or young depending on my mood. I think the secret is to stay in a good mood so that we can be forever young! Lovely comment Christy… normally I have a sunny mood, but I I have felt like I had a vice around my chest since Sunday night…and the nausea…it definitely made me feel a little gloomy today. But I am looking forward to a good night’s sleep and hopefully feeling much better tomorrow. 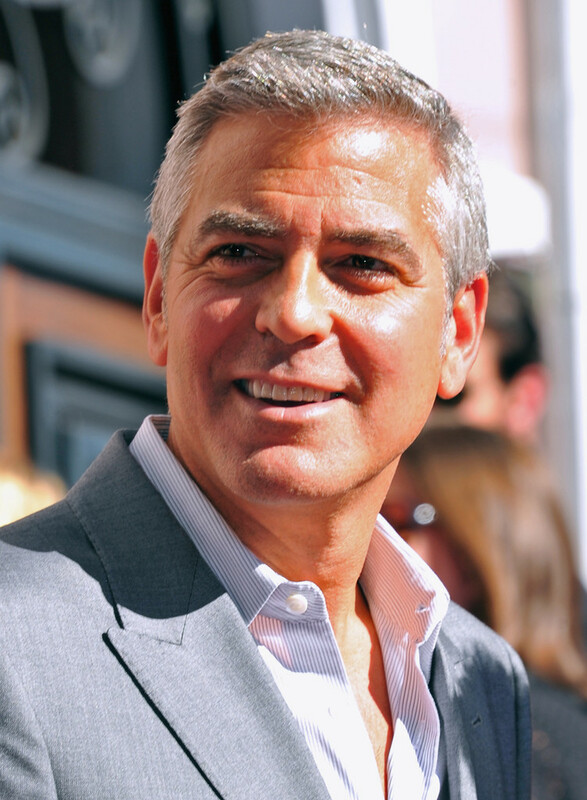 At the moment…I am definitely liking the George Clooney and a bit younger age bracket. But there is one! He is ten years younger than me! I feel flattered, but rather bewildered that he seems keen on me. He knows all about Goldfinch, but he seems to be keeping his oar in. He is so sweet, but I am perplexed because I don’t think being with a younger man is going to work, despite his energy and charming nature. I just don’t think it would work at all, but I don’t want to be brutal with him. He is such a sweet kind lad. It’s not the worst problem to have though I admit! Aw KID (and you are still young enough to be called one too) you’ve got so much ahead of you! I don’t personally think any woman ever loses her charm, UNLESS she decides it’s not worth the effort to keep it. I lost mine long ago, probably at an age not that much older than you are now; but it was a conscious decision. I got tired of having men think some things about me that weren’t true AND I met ‘the one’ (hubby) or who I thought was the one. Now that he’s dead, I find that trying to get the sparkle back is almost impossible. One forgets how I think. So you just keep on being YOU and you’ll always have admirers if you want them. Your soul is so beautiful, they’d have to be blind to ignore you!! Thank you Melanie…you are always so kind. I think I have felt it today because I have been in pain and nauseous…so I feel a bit of a wreck today! Hopefully, it will pass quickly. I have been working on Share-Your-World post and it is almost ready to go. My concentration has been poor today. Looking forward to bed so much! I have had a few snoozes already today, but I do feel wrecked! Ten years seems a great age gap. It doesn’t always work. My wife was 12 years my juinor, the following relationship she was 8 years my juinor, now with Suze is 18 months my senior the latter words – Suze looks absolutely fantastic for her age, she always looks ten years younger and looking at me, well l look twenty years older ……on a good day and thirty years older on a bad day! 🙂 How is Suze getting on in Australia? That will be fun Rory! Ah yes, the brain/heart dichotomy, which one wins on the day dictates a whole lot of things about us. Stay with the heart, the body will follow.